The Forverts contains a very interesting article about the singer and actress Esther Nersolavska. There are so many women musicians whose stars have faded with time, but who were so great in their day! 8:30 pm – AUDELIA ZAGOURY: An acclaimed vocalist from Morocco & Spain, will be singing a medley of styles, some of which we’ll know & can sing/play along. 9: 15 pm – SHOSHANA RIVKA: performs original chizuk songs & leads us in the music JAM & Drum Circle w/ many women helping to share an exciting variety of drumming styles. Ladies are invited to also sing/play your own songs &http://www.jmwc.org/mt/mt.cgi?__mode=view&_type=entry&blog_id=1# do improvisation together, which is a def a beautiful way to celebrate! 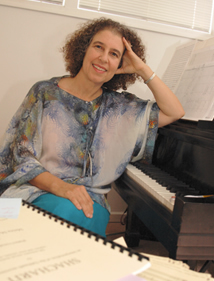 Israel Composers League member, Jerusalem-based Gila (Gillian) Carcas, has a new website biography and a listing of compositions. 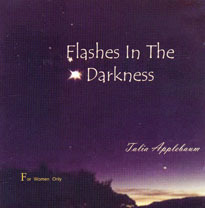 There is an mp3 for her work “Beside the Lake” for Violin, Cello and Piano. Her works are available for puchase through the website. Gila has written over 50 pieces for small chamber ensembles, solo works, a chamber opera and some orchestra compositions. historic Camp Kinder Ring in Hopewell Junction, Dutchess County NY. The Women in Music Festival being held at the Eastman School of Music in Rochester has several concerts of interest to our readers. On Monday, March 23 will be a concert that includes the new composition of Eva Wasserman-Margolis, “The Generation of Hope”. 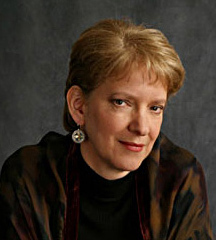 On Wednesday, March 25 will be an all Judith L. Zaimont concert, featuring her “Four Seasons”. Ms. Zaimont will be present at the concert. For further information, visit: http://www.esm.rochester.edu/wmf/schedule.php. Nomi Teplow launches her CD “Like a Rushing Spring” . This is the premier show for Nomi’s new concert series featuring songs from the new CD “Like A Rushing Spring” as well as some of her popular hits. After the show — A pull-out-the-stops dance! An article in the Forward about Faith Steinsnyder and her impact on the American cantorate on the July 9th worth viewing. Everyone knows YouTube. Occasionally you find real gems. Here is Dinah Shore and Peggy Lee singing a medley as swinging jazz. Dinah Shore, born Frances Rose, who grew up in Winchester, Tennessee (and later, Nashville) was a daughter of Jewish immigrants. Her mother was a contralto and her father a merchant. She suffered from polio, but was not hampered in her educational pursuits to go on to Vanderbilt University. From there she went to New York to be a singer. She cut her first recording in 1940, and from there went into radio and later television.Her first live engagement was with Ed Wynn on NBC. She remained with that network for most of her tv career. St. Luke in the Fields Church in New York City. Sunday May 4 at 4 PM. and seniors: $20 in advance, $15 at the door. Call 212-252-4135, or visit www.melodiawomenschoir.org. Dynamic double bill of women’s bands, back by popular demand! Shaina Ettel accompanied by both piano and full orchestration. SHIDDUCHIM AND SURVIVAL-A BA’ALAS TESHUVA’S TALE-REPEAT PERFORMANCE! The Melodia Women’s Choir will present an all female performance of Vivaldi’s Gloria in D Major and contemporary works, including the world premiere of Becca Schack‘s new commissioned piece “In My end is My Beginning” based on a text by T. S. Eliot. 346 West 20th Street, New York City, New York. The Jewish Music WebCenter already knew how great Elaine is, having conducted an extensive interview with her at KlezKanada a few years ago, not to mention hearing all those concerts with her. Now she’s getting a national honor… nice! Admission $10.00, Wednesday, July 11th 2007, 6:30 P.M.
at the Center for JewishHistory, 15 West 16 St, NYC. an East Village cultural landmark for 30 years! To learn more about Chanale and her music, see her website at: www.chanalesings.com. Yoheved Friedland, (aperfecthealing@cs.com), a Jewish woman songwriter in N. Miami Beach, Florida would like to create a Jewish women’s musical group with other singers and songwriters. Please contact her if you would like to join this sort of women’s music ensemble. Please contact her directly at the email address. Centre, Thursday May 25, 2006, at 8:30pm. The Sisters are: Lenka Lichtenberg and Isabel Fryszberg (vocals), Fern Lindzon (vocals and piano), Kinneret Sagee (clarinet, Lorie Wolf (drums), and Rachel Melas (double bass). or at the door one hour before the performance. Info Line at 416 924-6277 ext. 143 or email harriet@mnjcc.org. Wednesday, February 15 at 8PM Women’s Hachnoses Calla Event, featuring Anita Tucker from GK speaking, and musical entertainment by Ayelet Hashachar, visiting from Baltimore. 7:00 PM at The Concert Hall of Slovak Radio in Bratislava, Slovakia. January 8, 2006 at 1pm. Concert is for women and girls only. singer. She has a website at miriamsandler.com where you can sample some of her music. A New CD was released by The Jewish Music Research Centre in Jerusalem on the music of the Jewish women of Cochin, India. For centuries, the Jewish women of Cochin have been singing Jewish songs in the Malayalam language of Kerala, their ancient homeland on the tropical southwest coast of India. Melodia Women’s Choir of NYC,/bwill delight New York audiences with three exciting and rarely-performed works by Israeli composer Yehezkel Braun in its upcoming concert, November Song. 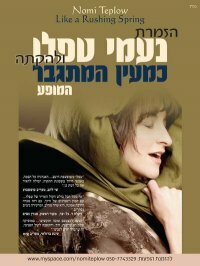 The three works by the highly-regarded composer from Tel Aviv are written to songs and ballads by H.N.Bialik, Israel�s first national poet and one of the country�s most revered and influential writers. The concert will be presented on November 20, 2004 at 7:30PM, at St. Peter�s Church in Chelsea (346 W. 20th St., between 8th and 9th Avenues) in New York City.